Minneapolis Steel & Machinery Company was consolidated with Minneapolis Threshing Machine Company and Moline plow company in 1929. 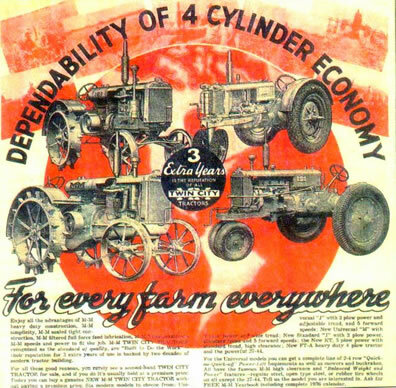 The resulting Minneapolis Moline Power Implement Company would now operate as a full line supplier offering threshing machines, implements and Twin City tractors. 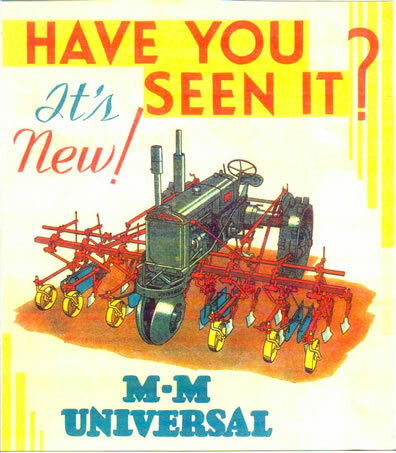 The trend towards smaller row crop tractors was in full swing at the time of this merger, however, The former MS&MC had not produced a dedicated row crop machine. The standard tread model KT was intended to be an all purpose row crop capable tractor. 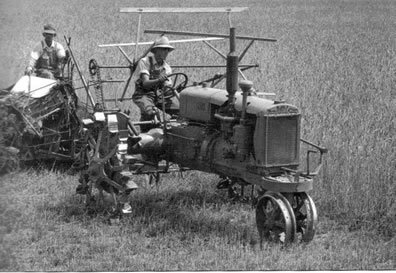 The success of the KT as a row crop tractor was questionable. The three row platform it was designed around never did catch on. The obvious remedy for Minneapolis Moline’s need of a true row crop tractor was to modify the Twin City KT that MS&MC had designed. A narrow tricycle front and twenty three inch long rear axle housings with MT part numbers were fitted to the KT. Three forward gears and KT chassis part numbers would remain. This would create a 5,300 lb. universal or row crop machine with minimum retooling expenses. The signature oval Twin City gas tank was replaced with a more squared off version. The MT was wide across the rear and took on a whole new look as the first row crop to emerge from the famous Twin City lineage. The same 283 cubic inch engine bearing KE part numbers had a bore and stroke of 4 1/4 x 5. A Schebler TT carburetor along with dry type Donaldson air cleaner were used and American Bosch supplied the ignition magneto. Nebraska Test number 197 in September 1931 revealed 18 drawbar and 27 belt horsepower from tractor number 525001. Engine rpm was set at 1,000 with kerosene as choice of fuel. Past practices of adding the letter A to updated machines were observed for 1934 when the MTA appeared. A high compression head and rubber tires of 28 inch or 36 inch were offered. Engine rpm was moved to 1,150 and a Schebler TTX-15 with oil bath air cleaner was added. Test number 248 in October 1935 showed a power level increase to 33 horsepower on the belt. Top radiator tank was recast to MM - Twin City. 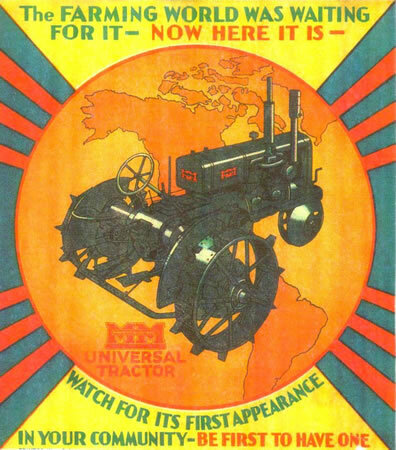 Production of the MT and MTA were fairly limited. 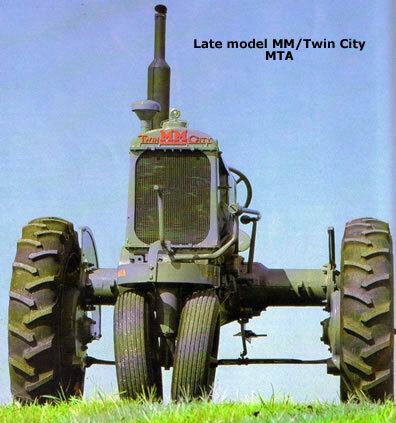 There were no industrial or orchard versions made and the early model MT on steel wheels with correct components is gaining recognition as a very collectable tractor.